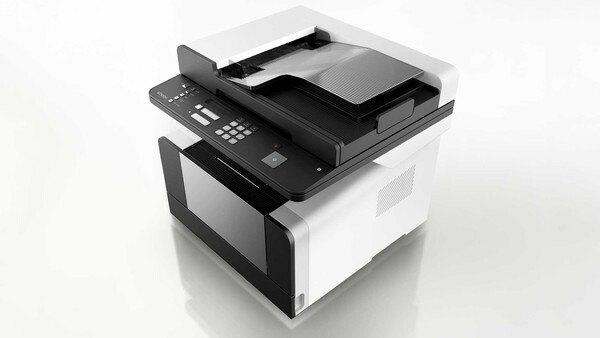 Finding the best multifunction printer is a great solution for anyone looking to have the convenience of copying, scanning, and printing at their fingertips or looking to turn a small home work space into a functional home office. Printer manufacturers are constantly adding new features to their models. When choosing the best multifunction printer it is important to compare their capabilities and functions. Printers Work Load: It is important to first think about the number of pages you plan on printing or copying in a week. If you plan on printing more than 400 pages a month or are sharing the printer with more than 3 people, and are looking for clean crisp laser quality copies, you may want to consider purchasing a laser multifunction printer. What’s My Cost of Ownership : The cost of an inkjet multifunction printer tends to be low compared to its consumables. It is important to consider how many black/white vs color prints you will be making because it will make a big difference in cost. Black cartridges cost around $25 and color cartridges tend to cost around $30 depending on the make and model. One of the main ways to save money on cartridges is to look at the cartridge’s capacity. In the long run, purchasing higher capacity cartridges or buying them in bulk may help save you money. Printers Speed : When finding the best multifunction printer it is important to consider its speed. A typical multifunction printers speed ranges up to 22 ppm color and 28 ppm black and white. If you are looking for a printer with a higher speed capability then you may want to consider purchasing a laser multifunction printer instead. Media Support Features : All inkjet multifunction printers hold the three basic types of paper formats: letter, legal, and standard envelope sizes. If you are planning on printing on a specific paper format you may want to check with the manufacturer’s information to see if the printer is able to work with that specific size media. In addition to a flatbed scanner, most printers also have a paper feeder to facilitate in making copies. Print and Scan Resolution: A printers print resolution refers to the quality of the print or dots per inch (dpi). The higher the dpi the crisper or higher print quality the printed image will have. The same is true for scan resolution. A multifunction printer’s scan resolution is important for anyone making many high quality copies or scanned pictures. You will find that some printers will have a “Resolution Enhanced Scan” option. This feature will allow you to measure how the standard resolution can be enhanced through the printers software. This won’t necessarily increase the images quality but will allow you to change its size and format.